There is a small but very active community of expats living in Progreso Mexico and many live in the community year round. They have created a fantastic inclusive community that has art classes, Spanish lessons, music events, fundraisers for the local school children and much more. There is a Women’s expat group and a Men’s groups that you can get involved in to learn more about the community. Retiring to Mexico is pretty easy the rules and regulations along with the necessary financial requirements are not terribly stringent and most Canadian and Americans can afford to retire to Mexico on a limited pension income from Social Security or Canada Pension. 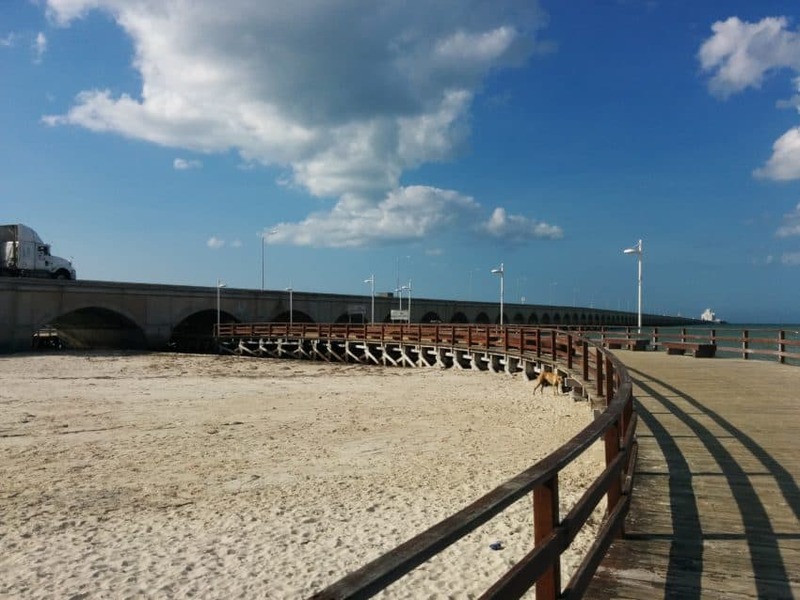 Progreso, Mexico may not be the prettiest town but it has everything you need and with its close proximity to the beach and to the major city of Merida you couldn’t ask for a better place to retire to on a limited budget. Do you want to live or retire to Progreso Mexico – It is much easier than you may think. 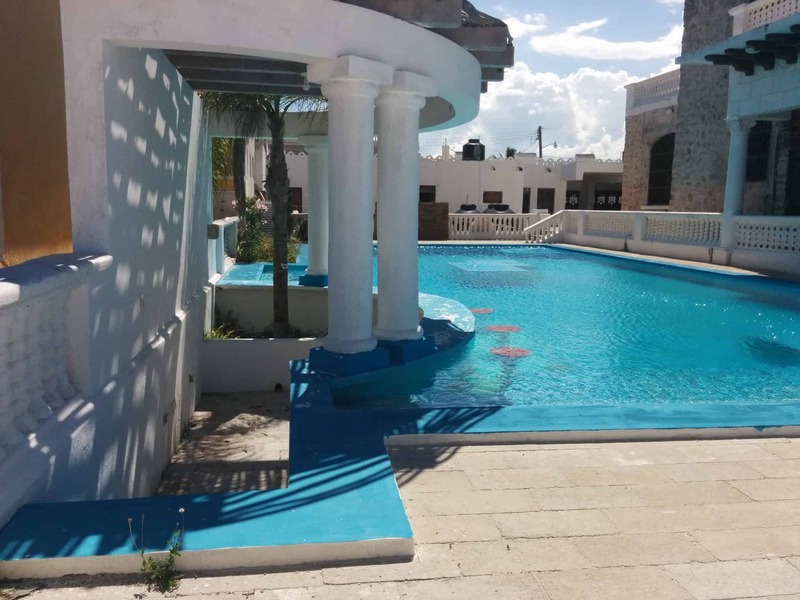 There are no flights to Progreso but it is only a 40-minute drive or so from the airport in Merida and it is convenient to Merida for shopping and entertainment. This area of the Yucatan is a mecca for cenotes which are the underground waters, and rivers considered by the Maya to be sacred. The emerald green waters of the Gulf of Mexico provide breezes that cool down the relentless heat of the peninsula. The Yucatan is known for its very hot and humid climate and Progreso temperatures will average around 30 degrees with high humidity. Merida has also been known to be the hottest place on the planet in some months. It is particularly warm in the spring months of March through to May. If you love heat you will love Progreso. Progreso has a great Malecon or walkway on the beach side of the town which has undergone considerable improvements in the past few years. The beach itself is very long with soft white sand and the water is safe for swimming. You can sit out along the beach and enjoy drinks brought to you by waiters from the Malecon restaurants and bars and just people watch. There are chairs tables and umbrellas set out for guests along the beach and a good selection of restaurants from which to grab snacks and meals. 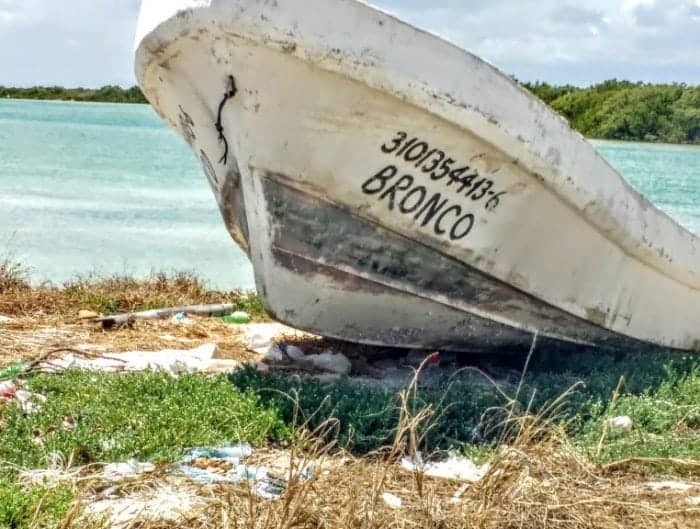 On the west side of the Yucatan Peninsula on the “Flamingo Coast” or as it is becoming known the “Yucatan Riviera” is a string of small fishing communities. Beginning at Chuburna and running east on Highway (Carreterra) 27 for about 50 kilometres to Santa Clara, these small villages do vary considerably in size and available services such as or banking or shopping. These are fantastic places to retire to or live as an ex-pat in Mexico in an affordable location. 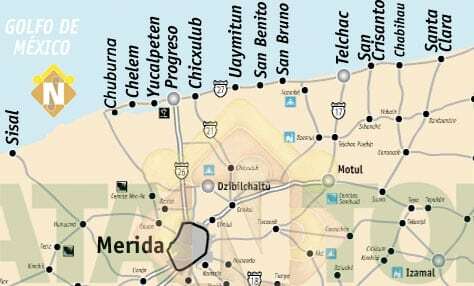 Progreso is pretty much a straight drive to Merida on the newer highway, and it takes around 20 to 30 minutes to get there. 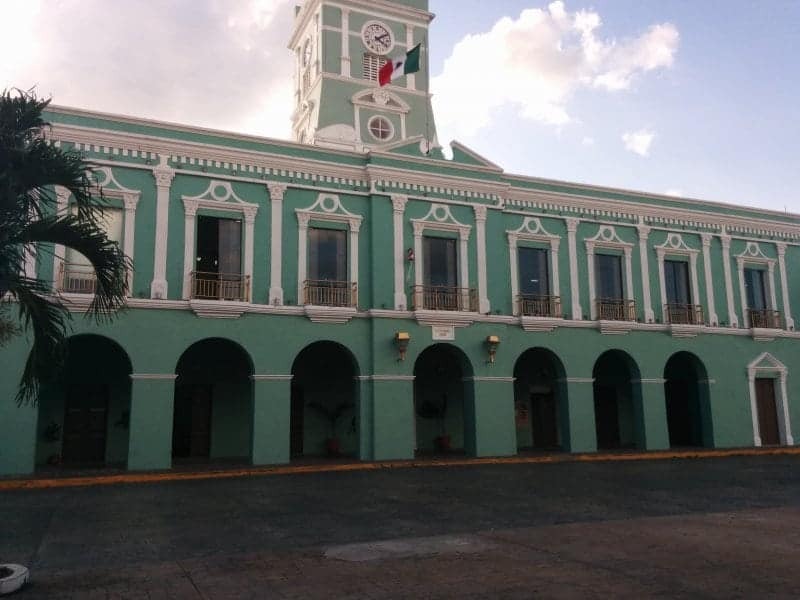 In 2012, 476 foreigners obtained their permanent residence cards in the Yucatan. In the early part of 2013, that number increased by 30%. The city of Merida on the Yucatan Peninsula increased its population of ex-pats quite dramatically. Guesstimates state that there are probably over 3000 plus expats living in Merida, Progreso and the coastal areas, some live here year round others come in as “snowbirds” and stay for 5-7 months. 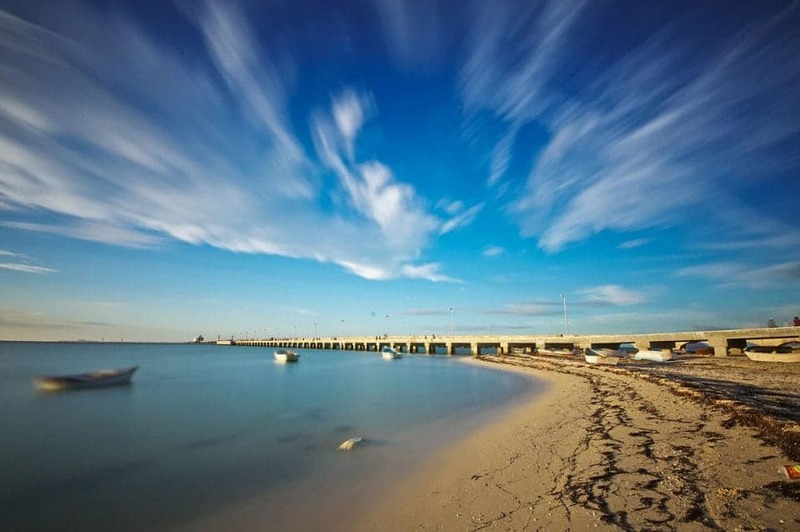 Progreso is the largest of the beach towns and has a population of a little over 50,000 and is the state’s main port. It hosts cruise ships twice a week at the “longest pier in the world” and has a growing community of ex-pats with a guess at around 800 split between snowbirds spending up to 7 months a year and those who live there full-time. The weather in Progreso Yucatan tends to be the hottest in April and May and temperatures have reached up to 45 degrees. The Nortes or north winds come in around October to December and they cool the area considerably to around an average of 20 degrees – lol so cold. The Malecon which runs along the coast is becoming better and better each year with restaurants and shops opening up and growing along the area. Not a particularly pretty town, yet, Progreso does have the advantages of a taxis and collectivos that make it easy to get around without the need for a car. 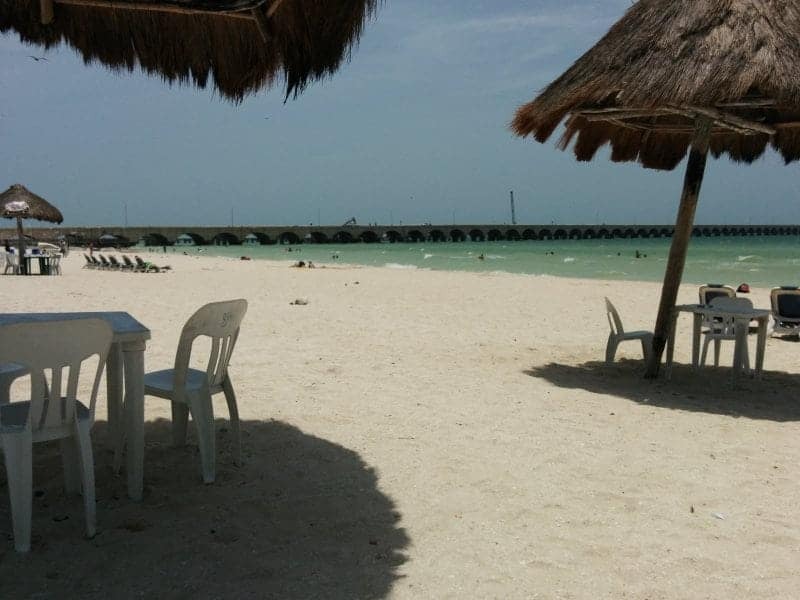 With a yearly average high temperature of 83 F and an average low of 73 F and if you live near the beaches permanent breezes Progreso can be very pleasant. Many ex-pats and immigrants have chosen to live in Progreso as it has pretty much all the modern conveniences. Lots of banks and bank branches, ATM’s are abundant and there is shopping from the market and other larger stores. Within the main boundaries of what might be considered downtown Progreso you can buy anything from tourist gifts to pool supplies. There is an ATM or bank on virtually every street. The main medical centre is in Progreso and there are plenty of speciality stores from Farmacias to Zapaterias. The Malecon (Calle 19) has been rebuilt and expanded over the years and you will find lots of tourist style knick-knacks and t-shirts to buy. Running one way (west) on Calle 19, the Malecon is occasionally closed to traffic when there is a special event or holiday but generally speaking it is open. 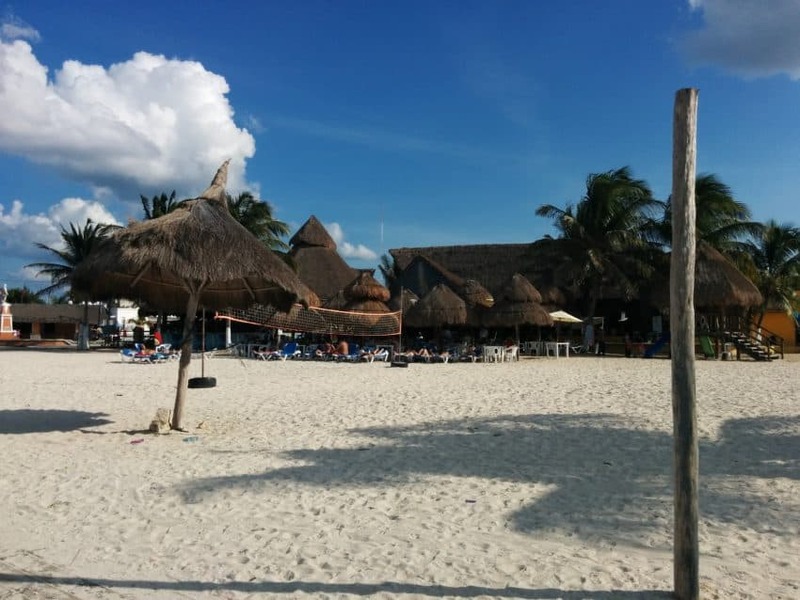 Sit on the beach under a palapa and you will have waiters serving you cervezas, limonade or the local beer Leon Negra. Try some Xtabentum a liquorice flavoured Maya drink and of course Margaritas at 2 for $5 are a lovely refreshing way to relax under the sun. Keep in mind though Progreso is not a glamorous tourist location like Cancun or Playa del Carmen it is a Mexican beach town but you can get a full-body massage right on the beach for $10 and there are plenty of restaurants to choose from offering everything from authentic Yucatecan food to French cuisine, pizza, beer and hamburguesas. Here you will receive several botanas at no charge (botanas are appetizers) when you drop into a restaurant for a meal or drinks. If you stroll off the Malecon down Calle 80 you will find a selection of shops, ATM’s, banks and artisans. Further down the Calle is a small Artisans market that is open on cruise ship days, further up the street you will find the farmer’s market, where you can find a good variety of inexpensive seasonal fruits and vegetables. Check out Bolam Bolam which is run by an ex-pat Richard and helps support Mayan children and their educational goals. You will find some wonderful leather goods and textiles in the store and a portion of the profits goes to the Apoyo Program which helps kids with school expenses. Further up the street drop into Barolovento which is a great ex-pats hangout and you can get a nice cold cerveza and check out the for sale signs in Yucatan Real Estate’s window right next door. If you’re looking for an affordable, real Mexican fishing and beach community, this is it. Progreso is not yet a pretty town and it has put off more than its fair share of cruisers, but it is a real Mexican town. There is poverty, run-down buildings sorely in need a coat of paint (or complete restoration), there is a lot of garbage around and quite a few free-range dogs. However, more and more tourist dollars are being invested in the town and over the next 10 years, it promises to become an even better place for locals, ex-pats, snowbirds and tourists. Because it is not the Riviera Maya there are plenty of bargains to be had in the property market. Beach lots can go for as low as $10,000 US and there are many houses for sale at under $100,000 if you want to live in the real Mexico. Gated communities are rare here but there are a few high-end colonial style homes begging for rehabilitation and lots of houses in the $150,000 range. There are a few good restaurants in Progreso: Don’t forget to tip the waiters well since they usually only work for tips. Keep in mind many of the tried and true close for the season which means between May and September they will not be around. 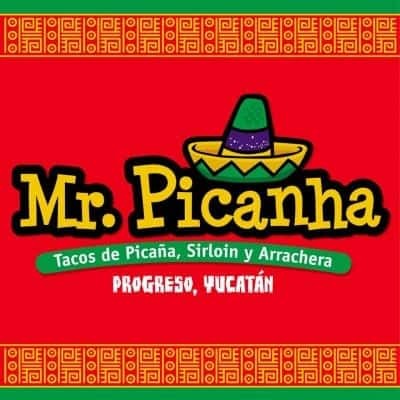 One of our favourites for Steak Tacos Mr. Pincanha seems to do this keep an eye on them on Facebook to check when they are open. 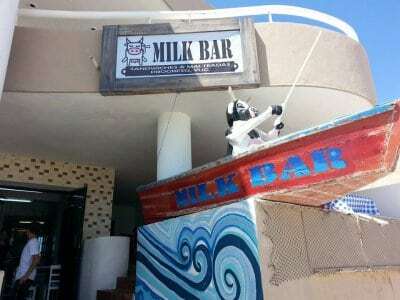 This is a small American family-run cafe in the middle of the Malecon that serves a variety of Mexican and American dishes, plus a selection of incredible juices and smoothies (even healthy vegetable and fruit combinations). There’s outdoor and indoor seating and a play area for the kids. The pricing is more affordable compared to the other restaurants on the strip and the staff speak both English and Spanish. All in all, a nice comfortable place to relax and enjoy the view of the ocean. Beautiful view of the ocean, right on the beach. There is a children’s slide and a swimming pool for the patrons. Lots of free botanas and the Mexican beer is cold and refreshing. Prices are pretty standard and the wait staff occasionally speak English or want to practice their English. 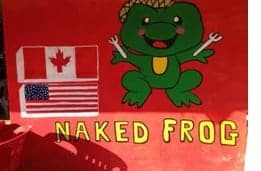 Mango margaritas, the best fish and chips in Progreso and other delicious dishes like coconut shrimp make The Naked Frog very popular with both expats and locals. Serving some great local shrimp and ceviches. A few blocks from the Malecón, well worth the walk from the seafront. Great atmosphere, really good food made from scratch, cheap drinks and good service. Favoured by the local expats you can hang out at Barlovento and meet lots of folks with great stories and advice about living in the Yucatan. Progreso is not for everyone it doesn’t come close to matching the Caribbean side from Cancun down to Tulum for nightlife and luxurious beach resorts. Progreso, however, better reflects the authenticity of the “real” Mexico. Service isn’t always polished. Not everyone speaks English but the folks here are pleased when you try your Spanish and will help you all they can. You’ll see poverty, too. But hospitality here comes with a smile and an eagerness to please. There are small inexpensive hotels and hostels here but no Holiday Inns or all inclusive Marriott Hotels, there are also lots of private home rentals that are available year round. There are lots of options for groceries and food in this area. You can order home cooked meals, pies and even handmade sausages alongside the usual grocery store goods. However, food shopping in the Yucatan can be somewhat tricky to find things or certain ingredients you may have used all the time and home. 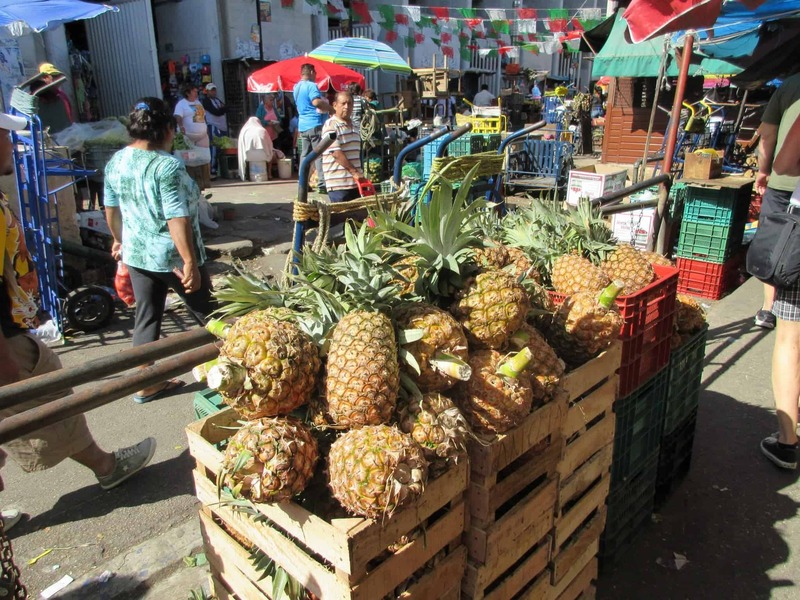 There are a few Farmer’s Markets, the Slow Food Market held in Merida Norte every Saturday morning (and now Weds evenings as well) is a fantastic place to pick up all kinds of fresh fruits, vegetables, lettuces and organic eggs and meats from lamb to duck are also available. There are wonderful tamales, freshly baked bread, pies and cookies and much more. Several expats have tables here and sell everything from lasagnas to smoked salmon and pulled pork. A Farmer’s Market is held in between Chelem and Chuburna on Mondays at Natural Thangs Nursery and hosts a growing assortment of vendors with wonderful fresh arugula and other veggies, bread, pickles, fantastic quiches and incredible kombuchas available from a great selection of vendors. With everything from fabulous breakfast burritos to gorgeous paintings, the Market is a great Chelem get to together. In Chicxulub there is the Muelle Market held every other Thursday from 9-12 noon from January until the end of March. and again has a great selection of arts and crafts plus tamales, bread, cakes, cheeses and much more. Both are well worth dropping by to check out and you will probably meet tons of ex-pats shopping and touching base with each other. Thai Bistro: We finally have authentic Thai take out at the beach, place your order online via Facebook and then arrange a pickup time. Great fresh food. If you want to know more about moving and retiring to Merida hop over to Mexico Cassie’s website. Cassie and the family moved to Merida around a year or so ago and she has tons of information on her blog about what to see and do in the Yucatan. Regarding your comment on The Naked Frog – they are not sister’s and it isnt by the bus depot! It is in the total opppsite direction – it is behind the Cruiser Market! We are personal friends and appreciate the comments but would like it is u got it right! Thanks Barb when we were there we were introduced to the two ladies as sisters so my apologies and you are correct I did mean the Cruiser Market not the bus station which is across from Super Aki. 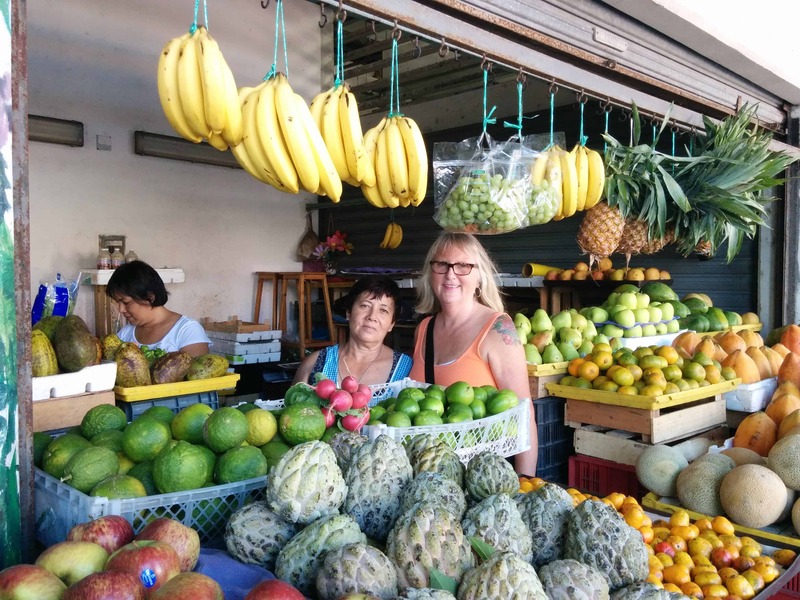 Loved the article and have shared it…one further correction…The Muelle Market in Chicxulub is every other Thursday from 9-12 noon from January until the end of March. Perfect just the stuff I want to check on, have made that change and thanks very much Lynne. What I really want to know before deciding to retire in Mexico is how it affects the locals. I have seen small villages and towns become “invaded” to a point the locals can no longer afford to live in the places they were born and raised. I would appreciate their point of view. That is a very good question I would suggest you ask on the Yucatan Beach Friends Facebook page. What I did find in the Progreso area including Chelem and Chuburna is that although these villages are exceedingly poor the ex-pats are very respectful of the people and really love living in an area where it is very much a basic village. The rich Meridanos from the city who pile in for the holidays are far less respectful of their own people and do tend to build monster houses with security cameras and barbed wire. The expats do the same as well but the area was well settled by those who come from the city and have owned the land for generations. The expats are relatively new and really make an effort to support the area, help out where they can and also hire and work with locals. The locals are lovely and friendly and very helpful, in part probably because the income generated by expats really helps the community and the expats have set up things like education funds to help out the kids who can’t afford to go to school, spay and neuter clinics to help with the feral cat and dog situations. Many expats have been in the area for many years. I am thinking of retiring near Progreso in a couple of years…Am wondering. ..how safe is it? Hi George, very safe – I lived in Chelem just down the road for over a year and knew many folks in Progreso (still do) I would say this is one of the safest areas in all of Mexico. What do you do about state and federal income taxes? Are you maintaining a residence in a state which favors retirement income? Thank you so much for writing this article! My husband and I are considering buying a retirement home near Progreso and you answered a lot of our questions. Are there things we should watch out for when buying a house? Some listings look too good to be true. Hi Tiffany you should be okay as long as you deal with someone who is experienced and has a great reputation. In this piece you will see towards the bottom some of the most reliable agents in the area and each of these is very trustworthy and come highly recommended https://xyuandbeyond.com/from-food-to-real-estate-shopping-in-the-yucatan/ you will see some agents and folks I know personally that I would trust to help you buy a property you love. Thank you soo much for this article. I am a disabled veteran and would like very much for my dollar to stretch. I do have a 12 year d boy and 11 year old daughter. They speak some spanish but understand it better any advice on schools for progresso? Also we would like to rent before buying you indicated several homes in progresso available for rent, could you share options with me? We will be moving within the next three months. Hi Mario, since I don’t have school aged children I do not know the school situation what I do know is that there are several expats who have kids and they all go to school in Progreso. I would recommend you join the Facebook group Yucatan Beach Friends I know the parents of a lot of the kids belong to that group and you will be able to ask any questions you need answers to in that group. 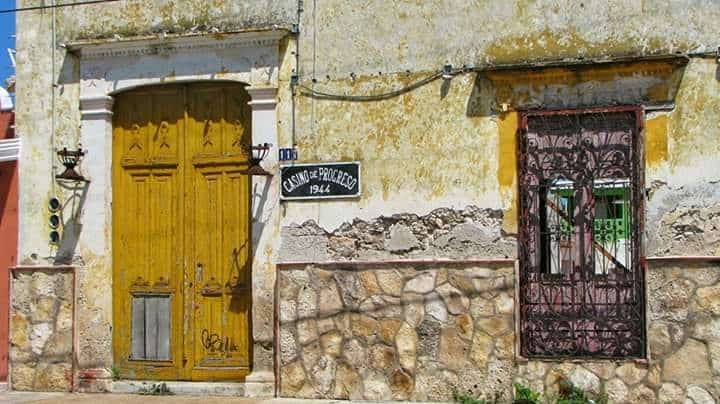 I would recommend you get in touch with the real estate and rental agents listed in this Article https://xyuandbeyond.com/from-food-to-real-estate-shopping-in-the-yucatan/ towards the bottom you will see the names – every one of these lists homes for rent Yucatan Paradise Progreso is right downtown Progreso and they will have some great information. Every one of these agents I know and they are very trustworthy and reliable. The key is to make sure what you rent is not on the beach that tends to push the rents way up, but if you are okay a few streets back there is lots of choice. You can even choose to live in Chelem or Chuburna which has a lot of expats as well and they are awesome communities. Good luck on your search. I thought I would add some comments for those Americans and Canadians who are considering a change in their life. It has gotten very expensive to live in the USA and Canada. I knew this back in 2012 when I started research on where would I like to be living in the near future. Ended up buying a beach front condo back in 2012 for 96,000 US dollars which included the attorneys fees. Seemed reasonable and affordable. I now live in Progreso fulltime as of August 2017. The weather during the summer is pretty humid and hot which is not much different from where I lived in South Central Texas before. But when it is extremely cold in the USA during the winter it is “perfecto” here in the Yucatan. If you like Mayan history this is the place to be. Chichén Itzá pyramid is about 2 hours away, Cancun is fours away and my favorite Mayan pyramid, Uxmal, is 50 miles South. Incredible ceynotes are here. 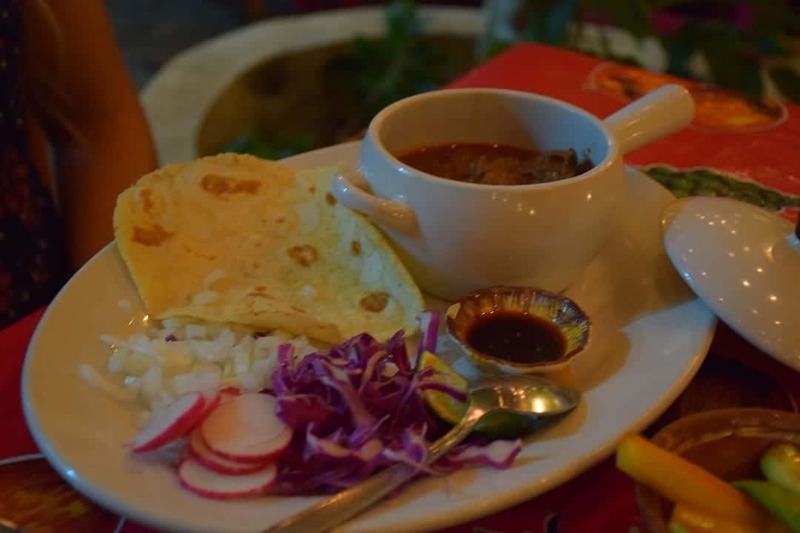 The Yucatecan “comida” or food is great. Tequila and Mexcal is a great value. Cigarettes are about $2.00 US or 44 pesos. The comments you have read about the occasional trash is true and probably is my # issue I have but if you can look beyond that and see what is here you soon forget it. The sidewalks need repair in a lot of the city but they do not spend money on that. A plus is that my property tax on a $100,000 US dollar beach front condo is less than $50 US dollars a year. Texas is 2.5% of the value. You do not need a car as the bus service is excellent and runs non stop. And it is cheap. Currently about .70 pesos which is less than $1 US dollar. I can take the bus to the capital just south of Progreso for 22 pesos or about 1.10 US dollars. In 2017 realtor dot com listed Merida as the #5 most popular place for foreigners to retire to. In fact it was the only city in Mexico on that list! And the businesses who have no prices on their merchandise is telling you something because there is no way a person can remember over 1000 items in their store as far as prices go. And for serious shopping I take a local who speaks English and Spanish and pay him to deal with it and he always gets a better price. If you like Casinos then you will like Merida.. And if you are a single man and want to meet a nice “cantina” woman well that is there too for a price. Everything is about money in Mexico and there is alot of poverty but in my six years of putting roots down in the Yucatan, I have never seen a “local” complain or ask for goverment help. In Mexico either you work or you go hungry. There is not much of a poverty program or welfare like in the USA. They hustle here for every pesos they can earn. Sunday is considered “family day” and that is the only day the streets will be quiet. They work six days a week here. I have travelled to Puerta Vallarta, Puebla, Monterrey, Tampico, Verazruz, Villahermosa, Ciudad Del Carmen, Campeche, Palenque, San Cristobal De Las Casas, Chiapas as well as Cancun, Playa Del Carmen, Tullum, Valladolid and Cozumel and I still ike it the best here. It is the people and the fact that Progreso is “not” like the Riviera Maya that makes this such a nice place. If I had to choose a second place to live it would be Puebla up about 7000 feet in the mountains. Cool weather with two volcanoes. Will be in Chicxulub January was wondering who and where to plug in to play cards , bridge , bid euchre , etc. Can you help . Hi there I would highly recommend joining Yucatan Beach Friends on Facebook, they organize lots of events and everyone posts there the activities that are taking place. You will see card games, chilli cookoffs, and so much more.